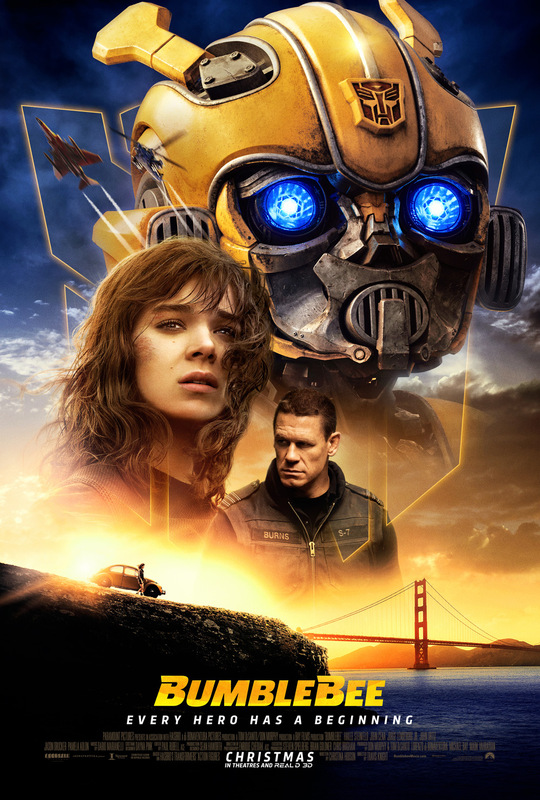 The critically acclaimed action film Bumblebee, directed by Travis Knight and starring Hailee Steinfeld and John Cena, arrives on 4K Ultra HD and Blu-ray Combo Packs April 2nd, and we have partnered with Paramount to give away copies to two lucky Guys Gab readers! 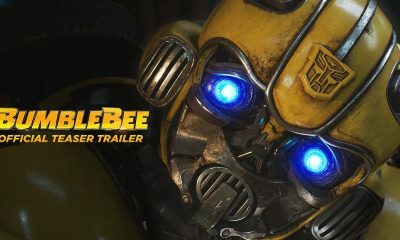 Boasting an impressive 93% Fresh rating on Rotten Tomatoes, the Bumblebee movie is filled with “personality, wit [and] imagination”. 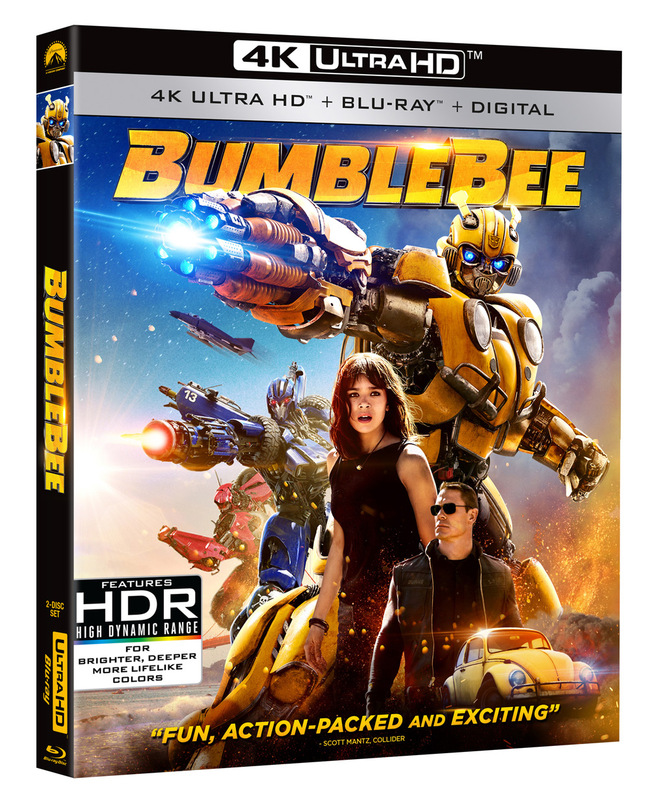 The Digital, 4K Ultra HD, and Blu-ray releases are packed with over an hour of exciting special features, including an all-new Bumblebee motion comic following the beloved Autobot on his next adventure. Plus, you can check out deleted and extended scenes you didn’t see in theaters, including the original opening of the movie, enjoy hilarious outtakes, and see G1 (Generation 1) Transformers robots on Cybertron through the eyes of Bumblebee with exciting Bee Vision. The Bumblebee 4K Ultra HD Combo Pack is full of special features that you’re going to want to check out, including an all-new Bumblebee motion comic, deleted scenes, outtakes, and more. 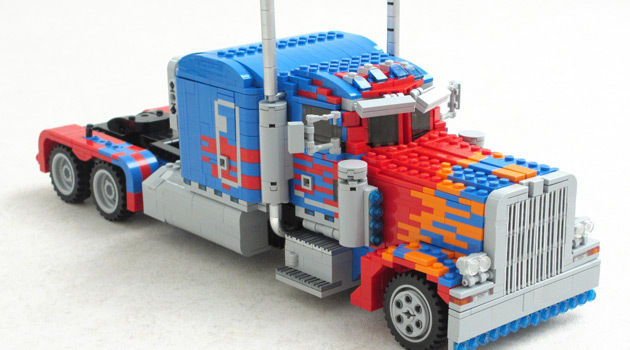 If you’re a Transformers fan, you’re definitely going to want to pick this one up. In celebration of tomorrow’s release of Bumblebee on 4K Ultra HD and Blu-ray, we’ve teamed up with Paramount to give away two Bumblebee 4K Ultra HD Combo Packs! 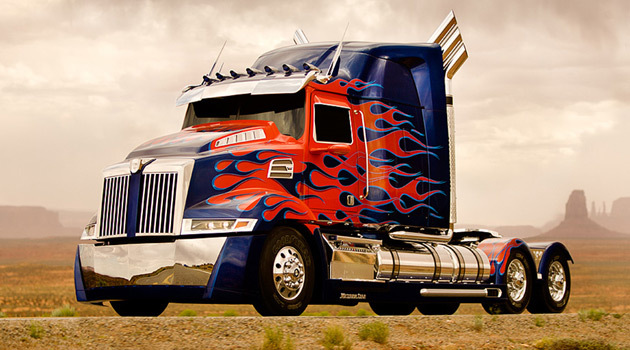 To enter, simply e-mail us and tell us who your favorite Transformer of all time is. We’ll pick a winner at random on April 15th at 5pm EST. Contest open to US residents only.